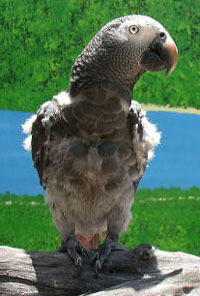 Garth, A Timneh African Grey Parrot. 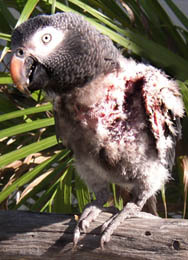 Poor little Garth is a seven year old male parrot who has plucked out all of his feathers. He's only been with us for three weeks (since the beginning of December. 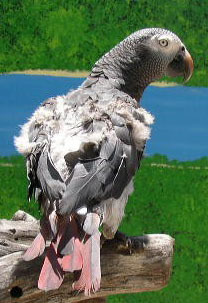 In the little bit of time here, Garth has stopped plucking his feathers out and has started becoming good friends with our African Grey, Zutar. 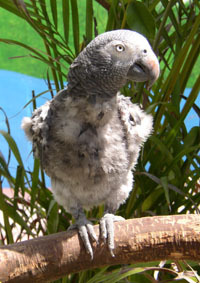 He's going to be a great flyer once we have our aviary set up.